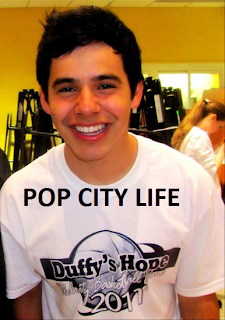 Fans eagerly awaiting news on David Archuleta’s career got a treat today when they visited his website. A new layout was in the works informing fans that a new fan friendly website would be launched in 30 days, complete with a countdown to that glorious day. To tide us over, they’ve given a list of his upcoming appearances. This is so exciting! We’d love to see him in the North East. Will you be seeing David at any of his upcoming appearances? I’m in NYC so yeah! I’d love to see him in the Northeast too! It’s been waaayyy too long. Haven’t seen him since December 2009 in Westbury, LI. I’ll be seeing David in Utah at the Stadium of Fire. I Can’t wait! VERY excited for what the future holds for David. GREAT THINGS ARE COMING! David is an amazing artist and person, So happy for him. Would LOVE to see him in the North East too since I’m from NJ! I plan to see David at Myrtle Beach on May 28th at MayFest! Can’t wait to see/hear him LIVE once again. GO DAVID!!! YES, I can’t wait to see David perform again! It’s been awhile. I’m in the Midwest, & I’ll kidnap him if I have to in order to get him here, lol.